You must make reservations at least 5 minutes in advance of the time at Splendido at the Chateau - Beaver Creek. "Village Transportation" Free Beaver Creek shuttle throughout the resort. Live entertainment in the piano bar from 7:00pm until close. Splendido at the Chateau offers wonderful Rocky Mountain dining featuring hearty yet refined American-European cuisine. In summer, enjoy a cocktail or dine outdoors on our flower filled deck and enjoy great views of Beaver Creek Mountain. As the sun sets and the mountain chill sets in, retreat indoors and get cozy next to our lovely, double-sided, wood burning fireplace. Splendido offers entertainment by Peter Vavra, Kathy Morrow, Taylor Kundolf and Bob Finnie in the piano bar. Splendido can comfortably accommodate a range of events including wedding receptions, family celebrations, cocktail parties, as well as business and corporate dinners with private facilities for catered meetings and seminars. Amazing experience. Just decadent! Highly recommend. We'll be back. Disappointed in service. Food was just ok. This is hands down one of the best restaurants I have ever been to. Hats off to the exec chef and the entire staff. We absolutely love Splendido. This was a special occasion and it meal could not have been better. We ordered the Waygu Tartare and the Pate for appetizers and were very impressed with the portions and how delicious they were. For dinner my husband got the bone in pork chop and loved every bite. I got the Scottish Salmon which was crisp and delicious. Dessert was also a treat. I got the “Snow Man”, very cute and each layer special. My husband got the PB & J which was also delicious. See Photos below. Splendido was absolutely amazing. Every dish, every drink, and every interaction with with the staff was perfect! I have a new favorite restaurant! Octopus Appetizer was chewy, sent it back. Steak special was overpriced and fatty. I was very disappointed. Noise was perfect. The piano player was excellent. We went to bar before our table was ready and the bartender ignored us and waited on others. Obviously because we were going from bar to table with tab. The waiter brought a meal to me I did not order. He left before I could say anything. We he returned and I told him he grabbed plate and ran back to kitchen with it. Concerning if that plate went back out. I was sharing a meal with my husband and the waiter never brought an extra plate after taking the food. Food was great!!! Best meal I have had in beaver creek, and have been coming for 10+ years. The appetizers, ambience, music, and entrees were all delicious. Would highly recommend for a gourmet meal. 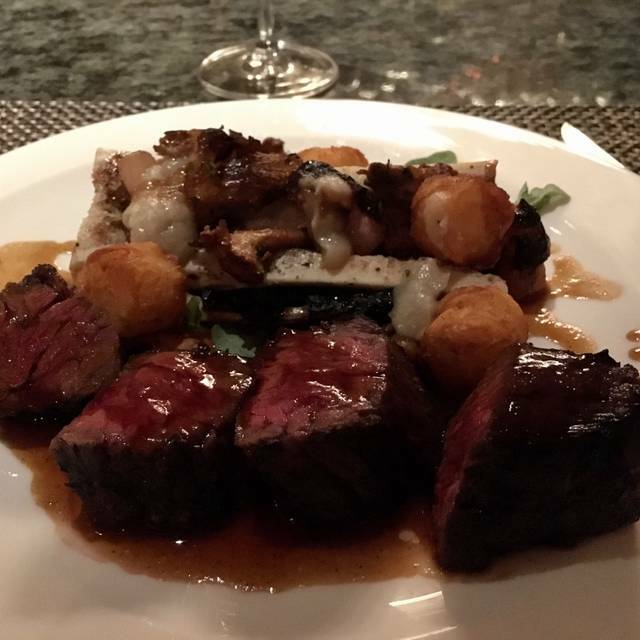 We visit Vail three times a year and always go to Splendido for dinner each visit. The main reason we do is to see Kathy Morrow on the piano who is absolutely fantastic. In the past we have also had very good meals. Last Friday night, the 15th, we had reservations for 7:45 but that was not at a table near the music. The hostess told us if we could move it to 8:00 they could accommodate us near the music. We arrived at 8:00 and was told it would be a while. A few minutes later a table opened up in the bar area near the music. We have dined in that area before and when we inquired that evening were told we could dine there, no problem. Except the service was practically non-existent. We didn't finish dinner until 11:00 and that was after having to ask for everything several times. Also the sole which we typically have was not up to what we have had in the past and not very hot. This was particularly disappointing because we brought a couple who had never been there who regularly ski Vail to introduce them to our favorite place. What a disappointment. We will continue to visit Splendido to see Kathy but we will sit at the bar and enjoy her fantastic sound. We will not be spending that kind of money for horrible service and food that was probably sitting under the warming lamp while our waiter was doing who knows what. Used to be our favorite place for dinner in Vail. No more. Splendido delivers time and time again. Outstanding food and service through the years. This is our go to restaurant for that special meal in Beaver Creek. 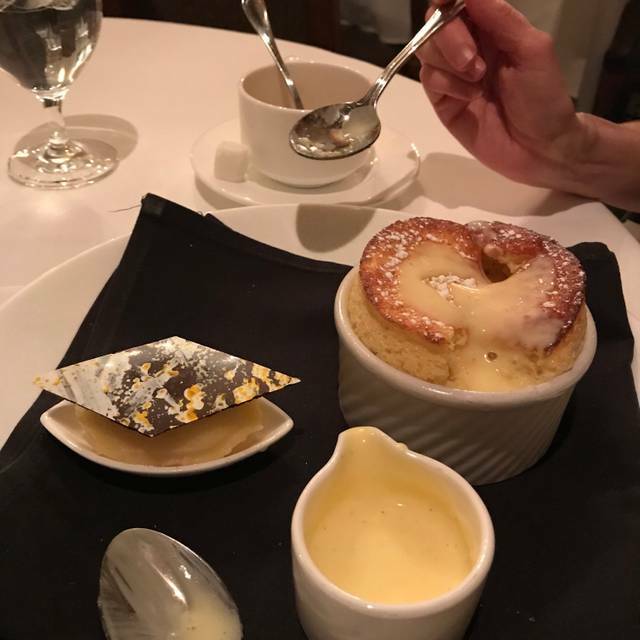 Their Dover sole and Colorado lamb are consistently excellent and desserts are worth saving room for. Amazing restaurant. My husband had the ribeye, which is his favorite steak of all time. He said it was the best ribeye ever! 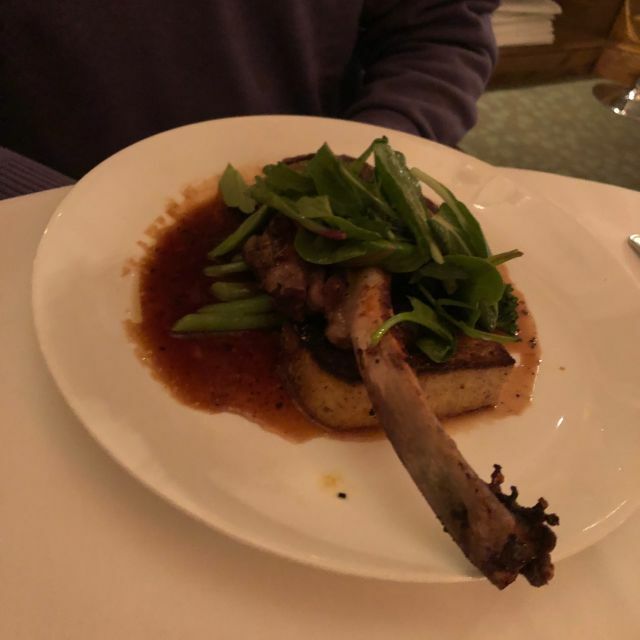 I had the lamb chops, which were amazing. This was our favorite restaurant in Beaver Creek for fine dining. 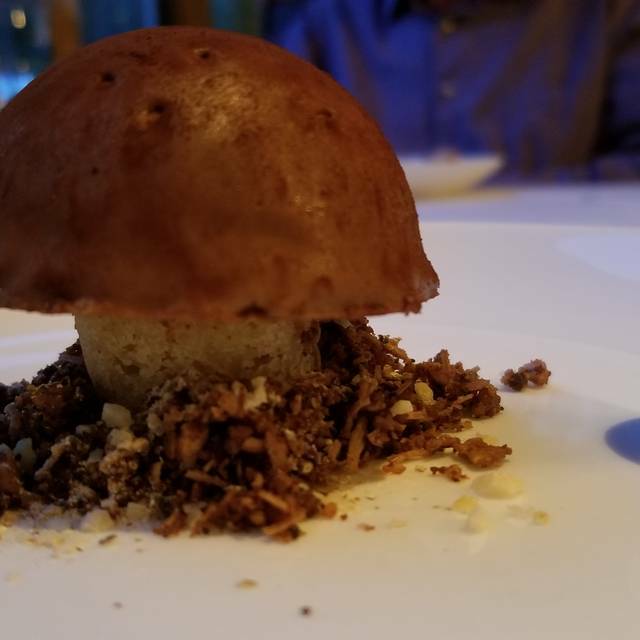 We would highly recommend Splendido. Our server was excellent. The ambience and view, just perfect. Outstanding, superb and impeccable. The gracious hospitality was welcomed during a very important occasion. 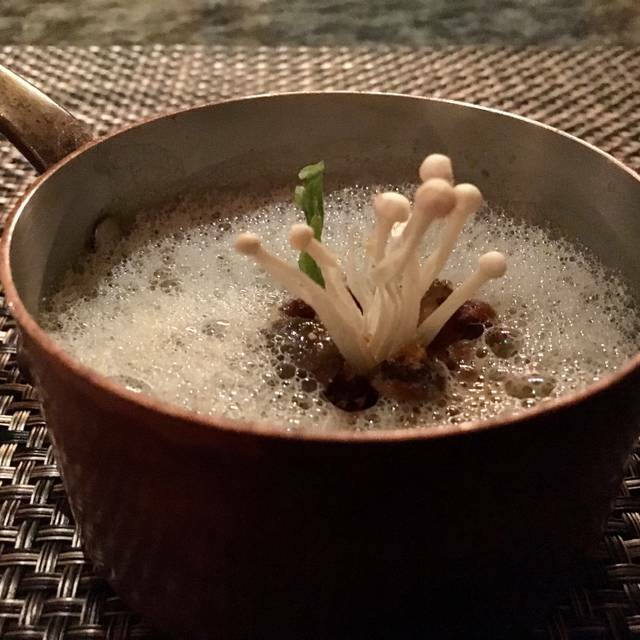 If you want delicious innovative cuisine, fresh, expertly prepared ingredients, service unmatched at many top restaurants, this is definitely a wonderful pick. Consistent, dependable, always innovating to bring the best to its loyal constituents, of which I am now one (as well as my guests). They gracefully managed volume without disturbing our experience or rushing us. Love love love this restaurant. Bravo! Perfect evening....great service and ambiance....Oysters ...and Dover Sole.....divine with Brown butter sauce...great chef....and a perfect Basil Hayden Old Fashioned.....whats not to like!!! The ambiance is great. Our service was superb. The appetizers, wine list, and dessert were fabulous. Never have witnessed such creativity in a pastry chef! Surprisingly, our entrees were mediocre. Excellent food and service. Pricey but worth it. The tuna poke appetizer was fantastic. I was very disappointed with our dining experience at Splendido. I was very excited to dine here as so many people said it was the best restaurant in Beaver Creek. Definitely not!! We had the Tuna appetizer that looked and tasted like something you would get in a grocery store freezer. No real flavor. For our main course, we split the Dover Sole that others had raved about online. I am not sure why they raved about. It was below average. The sauce was the only thing that made the dish edible. There was a nice piano player but the restaurant was so loud the music was drown out. Please don't waste your time or money here, there are much better restaurants in Beaver Creek. Beautiful setting. Service was most impressive and the food was outstanding. The staff was amazing- from the valet to the hostess to the sommelier. A truly first class experience. The best restaurant by far in Beaver Creek. Loved it! GREAT FOOD, GREAT SERVICE AND THE OLACE WITH TH PIANO IS A REALLY NICE OPTION! Had a very nice meal on Valentine's day, one of the few places in the village that we felt would hold up to other big city food scenes. High quality ingredients, well cooked and nicely plated, good service, good wine. Price was reasonable given location and quality. Wouldn't hesitate to go back for a special occasion. By far the best restaurant in Beaver Creek. The food, service, and piano player never disappoint here. I highly recommend the seafood tower to share as an app - it was such a fun way start to the meal with huge king crab claws, beautiful shrimp with dipping sauces, salmon, scallop crudo, lobster salad stuffed in its tail, oysters, and ahi tuna! My entree, the veal schnitzel (the special that night) was full of flavor and had a rich bernaise with duck fat potatoes and unique favored broccoli medley. The duck dish was delicious and perfectly cooked. The kitchen has an open concept through the glass so you can see the cooks at all their stations and the chefs expertly plating the food which is a fun element to the atmosphere. It is a very impressive and well run kitchen. Matt, the dining room manager, is friendly and extremely knowledgeable with wine. The wine list is outstanding. 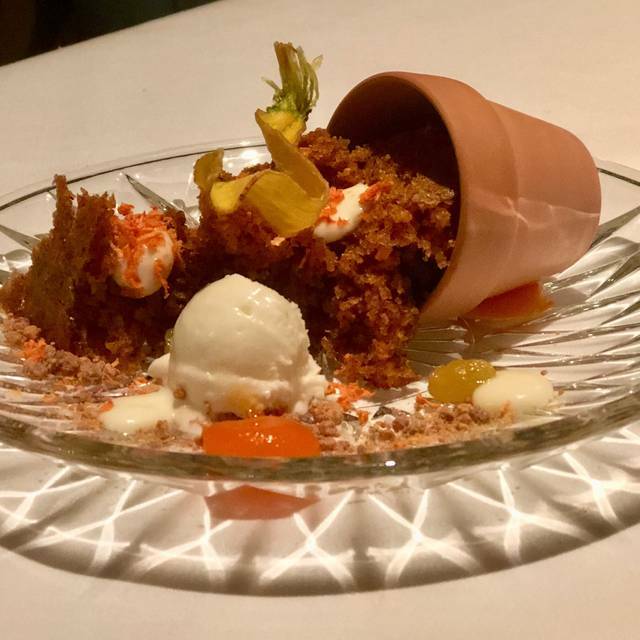 Desserts are a work of art. This is our favorite restaurant in the valley, and consistently have a memorable evening here. Thank you again for another wonderful experience! Outstanding!! One of the best dining experiences anywhere. Food, server, ambiance all highest level. Attention to every detail is phenomenal. Highly recommend!! Lovely intimate and comfortable setting with interesting and flavorful dishes. Great piano bar and awesome service. We've been to Splendid multiple times. This, by far, was our worst experience. While the food was good the service was below expectations. From the moment we walked in we felt like second class patrons. The waitstaff took much less interest in servicing our table than others. The females at our table were upset since the waiter only poured wine for the males and ignored them. Additionally, our table was adjacent to the bar. The piano player was excellent but the sound was too loud for any conversation during dinner. Dinner itself was excellent (you MUST try the lamb), although we were seated 20+ min after our reservation time. Luckily, the piano player at the bar was wonderful and we had an excellent time listening and "challenging " him to play a varierty of different tunes. Very poor service. We waited on our food for two hours and were at the restaurant for four...I love a good long dinner but we were starving and largely ignored by the waiter as he was so busy. The food was very ok - for the high prices we expected it to be better. Will likely skip Splendido in favor of other restaurants next trip. My Wife and I ate here on 1/24/19 for our anniversary. We found the food, while good, did not meet our expectations. 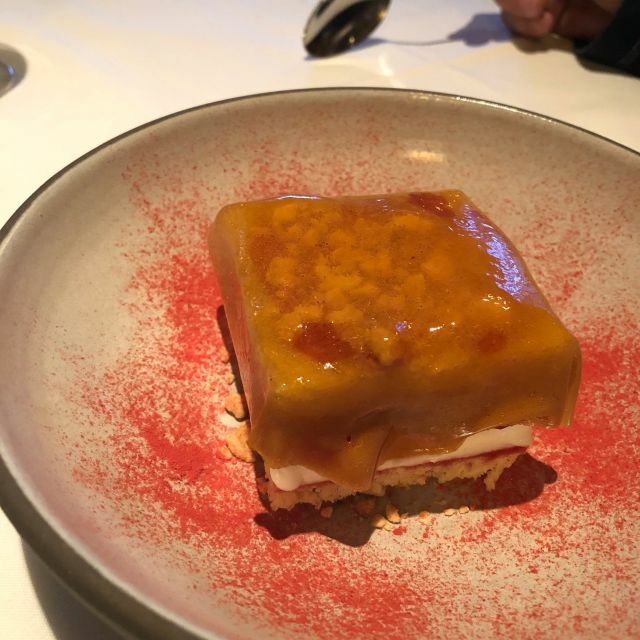 We have no problem paying premium prices for fine dining; it just seemed that Splendido only had the "Premium Price" but lacked the food, service, or ambience one would expect for that cost. One of our favorite places to go in Beaver Creek, always a wonderful experience! Splendido delivers an excellent meal every time. Since we've been coming here, I have never had a disappointing one. Virtually all aspects of a dish are well-executed. Tonight, we started with the special appetizer for the table: scallop crudo garnished with basil & grape slices. It was very tasty yet subtle. 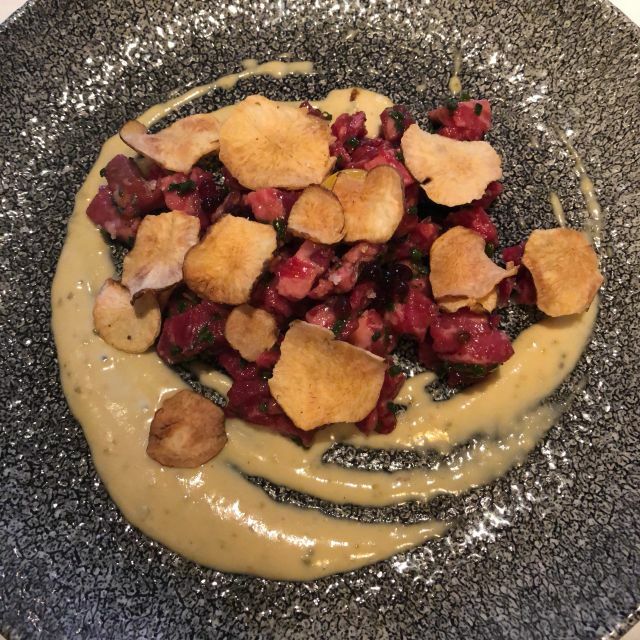 My husband had the wagyu beef tartare, which he said was excellent. For his entree, he enjoyed the monkfish with the short rib, both of which were cooked perfectly. My brother had the special appetizer king crab claws. He said there was so much meat, he could have just that as his entree. His entree was the Dover sole, which he has had before (my husband has also had this). Their only complaint about this dish, consistently, has been that by the time it is served, it is slightly overcooked. I had the humongous ribeye WITH BONE IN(!). It came with crisped potatoes & sauteed broccolini. This dish was also cooked perfectly & will also provide several generous meals over the next few days. For dessert, we all shared the lemon, an innovative dish that came with a bed of lemon custard overlaid with an almond flour crumble, shaved something green (?maybe the olive oil? ), & topped with a scoop of homemade lemon sorbet. The parting sweet gift, a standard, for tonight was a milk chocolate covered mango truffle on a stick. The service is gracious & accommodating. The restaurant is elegant without being stuffy. The live piano music of standards is enjoyable without being intrusive. Splendido continues to be a gem. We were eager to eat the Tenderloin that we saw on the menu on line. But they were out of the dish claiming it was a busy night. I would expect such a highly rated restaurant to run out of stock on there regular options. Big disappointment!! The food and service service were impeccable. The quality and creativity is amazing! Great food and great place! 100% recomiendes if you are looking for a place to eat in a special ocasion.